Secret Service scandal: Director says most video of alleged drunk-driving incident could be gone. 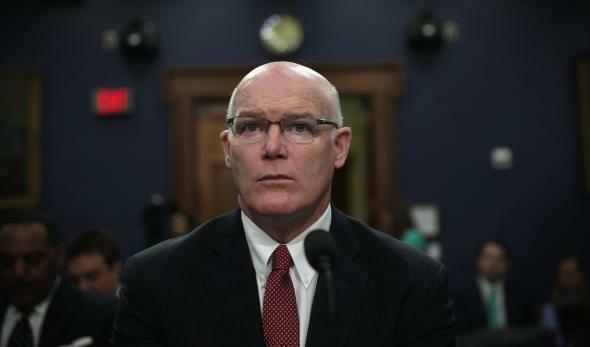 Secret Service Director Joseph Clancy knows this doesn’t sound good. The Secret Service has rules, and then they have rules. Sure, maybe a couple of their highest-ranking agents are accused of driving a government vehicle onto the White House grounds and nearly into a suspicious package investigation after they’d had a few too many in what seems like the agency’s fiftieth or sixtieth headline-level screwup since 2012. But one thing the Secret Service would never do—the line that must not be crossed—is preserve video beyond the customary period for the retention of such material. Or so we’ve learned from CNN, which reports that members of the House Government Oversight and Reform Committee came out of a closed-door briefing with Secret Service Director Joseph Clancy Tuesday without having seen complete footage of two possibly intoxicated senior agents allegedly nosing their vehicle through what was essentially a crime scene on the night of March 4. The agents, who had just left a retirement party at a nearby Irish pub, were released without charges or sobriety tests on the say-so of a supervisor. And much of the footage of the incident, per muckraking Utah representative Jason Chaffetz, seems to have been deleted. [Committee Chairman] Jason Chaffetz told CNN that on Tuesday, Clancy showed him and other lawmakers two videos, one of which didn’t show much of the action. “This is not your local 7-11. This is the White House,” he said. Clancy insisted in congressional testimony Thursday that nothing was actively “erased,” only that the other footage of the agents’ misadventures was probably gone because “by practice” the video is wiped after 72 hours, according to ABC. Clancy added that the agency was working with the manufacturer of the video equipment to try to retrieve the lost episode of Secret Service After Dark. Chaffetz said he was frustrated Clancy didn’t know if more tapes existed and wondered how two tapes survived while others might not have. Chaffetz told CNN that the committee would be sending Clancy a letter instructing him to hand over any videos or other physical evidence pertaining to the (alleged) post-pub capering before the Service’s erasure practices result in even more documentation being lost. Director Clancy has been making the rounds on Capitol Hill this week doing his best to convince lawmakers that the Secret Service is under control and that the agents didn’t really crash into the White House, just “nudged a barrel” that had been set up to block off an unknown object that had been lobbed at agents by a woman who claimed it was an explosive. Rep. Chaffetz sounded closer to exasperation, pointing out that even the less-than-ideal video he’d seen was pretty damning for the Secret Service.